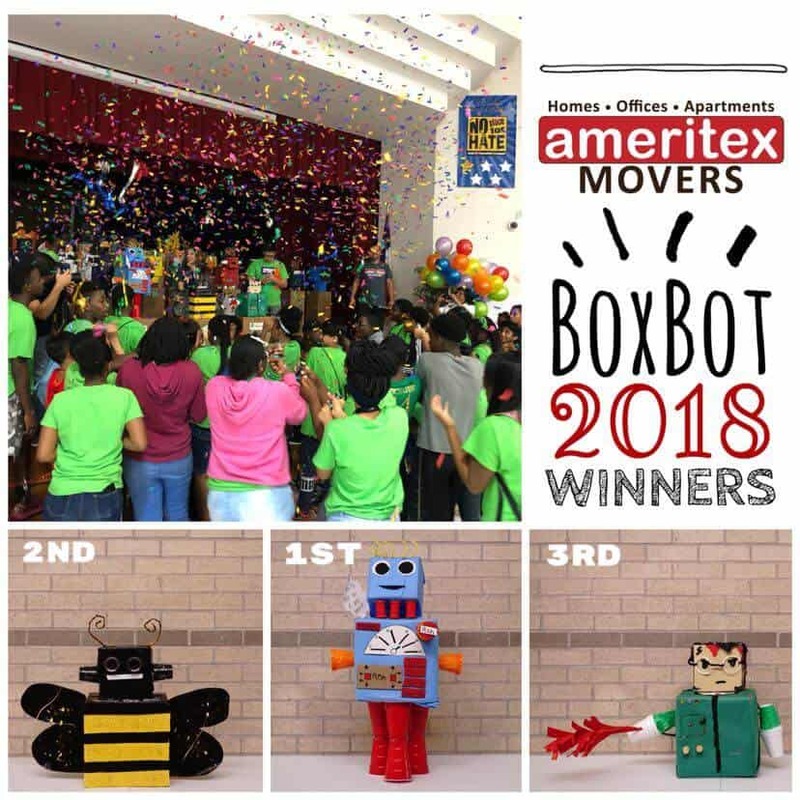 Ameritex Movers is pleased to announce another smashing success in our partnership with the Alief Independent School District for our 2018 BoxBot Contest! Similar to last year, the students came through with some amazingly innovative cardboard robot creations. Keep reading to find out all about the BoxBot Contest, the fun entries, and our visions and dreams for next year. Last year, Ameritex and Alief ISD began a partnership that has morphed into an exciting annual tradition — the BoxBot Contest. 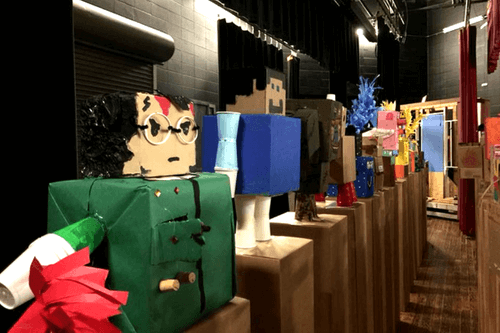 Middle school students within Alief ISD craft robots from cardboard boxes and their choice of other recycled packing materials. With the help of community leaders and votes from social media, we chose the top designs for first, second, and third place. On July 12, our judges, students, and teachers came together for the 2018 BoxBot Contest. With so many innovative entries, the choice was not easy. Entries this time around were up from 30 to a whopping 53. We saw inspiration from characters like Spongebob and Care Bears, as well as ideas straight from the students’ imaginations. With such a great turnout and an increase in creativity for this year’s entries, we have some big things in mind for next year’s BoxBot Contest. These changes include a new category for the most creative entry, and a contest for teachers who’d like to join in on the fun. We’ve seen impressive strides since last year’s contest, and we are confident that the future is bright for these creative, hardworking students. We believe in the power of after-school and summer programs to give students direction, put them on the path to make responsible life choices, and build them up to be dynamic leaders in their community. BoxBot is just one of the ways Ameritex gives back. In addition, we are involved in Feeding America, the Backpack Buddy program, education through several Children’s Museum of Houston exhibits, and various local food drives. Moving in the Houston Area? We are passionate about tailoring simple, stress-free, professional moves for our Houston-area clients. To find out how we can help, call us today at 713.484.6683.